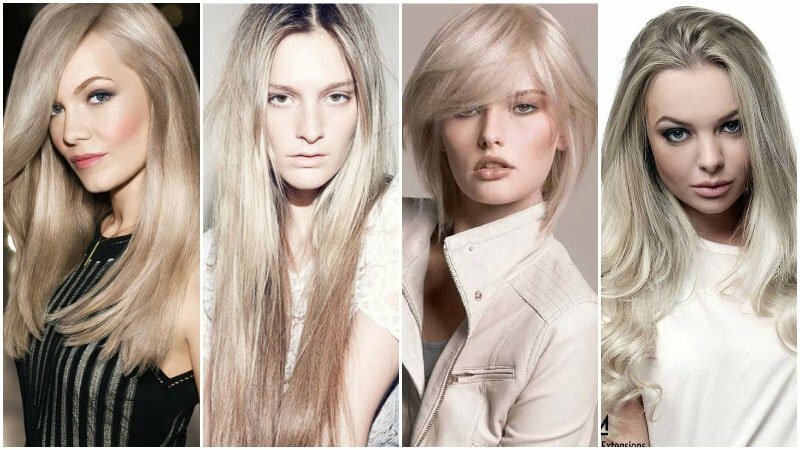 While dark hair can look rich and sultry, only blonde hair has the power to convey energy, youth, and fun in such an incredible way. Light, bright and gorgeous, blonde hair is a tempting colour that most women try at least once in their lives. These days, thanks to some incredible advances in hair colouring, going blonde needn’t be scary. 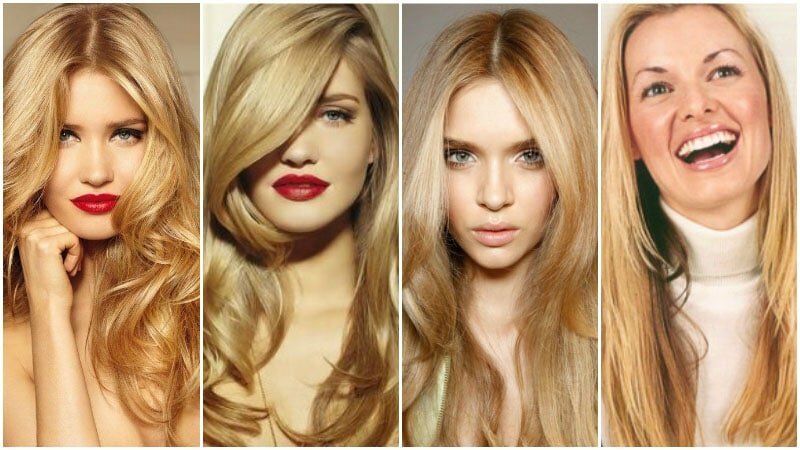 All you need to do is find the right shade of blonde to suit you and you’ll be looking like a bombshell before you know it. Perfect for ladies who were born blonde, light blonde colours can be soft, feminine, and striking all at once. If you have fair skin and light coloured eyes, such as blue or green, these shades will most likely hit your sweet spot. Platinum blonde is one of the lightest shades of blonde possible and looks best on fair skin tones and some medium skin tones with a yellowish tint. The colour also looks particularly striking when paired with bright blue eyes to create an “icy” effect. Made iconic by Marilyn Monroe, this unique hue is a perfect bombshell blonde colour but can also work well with edgy, modern styles. 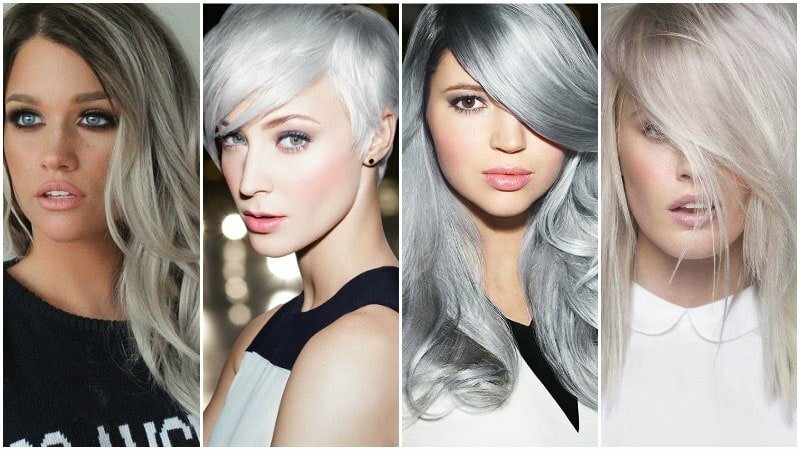 Sort of like a cool shade of platinum, ash blonde is a whiter blonde hue that features a grey or ash coloured tint. This light hair colour looks best with light complexions and light eye colours, such as blue, green, and light hazel. If you’ve already got light blonde hair, you can quickly achieve this look through balayage. For those with darker hair, the transition may take longer but you have the option of leaving your roots dark to add dimension. Silver blonde hair colours are cool, edgy, and modern. Like a dramatic version of ash blonde, silver blonde is perfect for when you want a striking look that’s sure to grab attention. The daring tone best complements light complexions with blue or green eyes. If you have a medium to dark complexion or brown eyes, however, consider trying this look with some subtle darker blonde tones mixed in. Natural blonde hair is designed to look like you were born with it. Also known as “baby blonde”, this look is best achieved with a mixture of highlights and lowlights all around the same tone. For this look to work, you want the change in colour to blend seamlessly and be hardly noticeable. 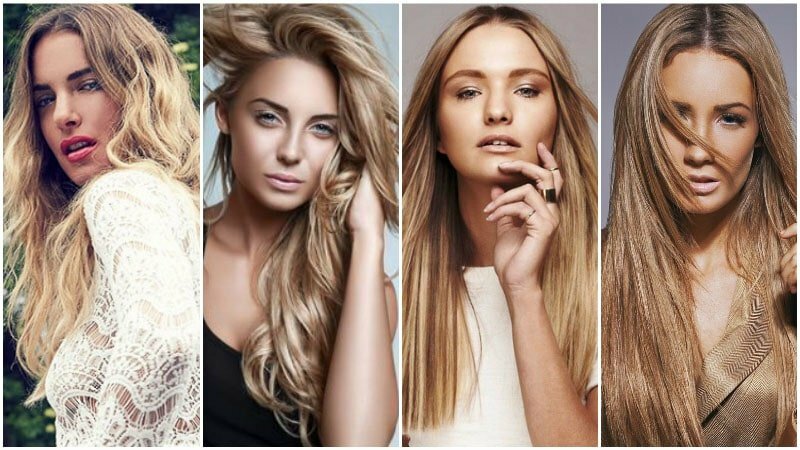 Natural blonde can work on any skin tone as long as you choose the right shades. For fair skin, choose lighter tones, and for darker complexions, choose deeper hues. 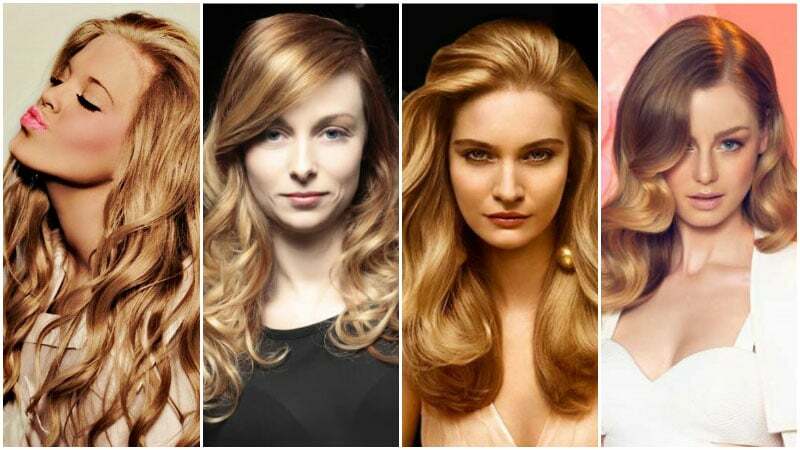 While light blonde colours can often wash out medium skin tones, medium blonde colours provide a great option. 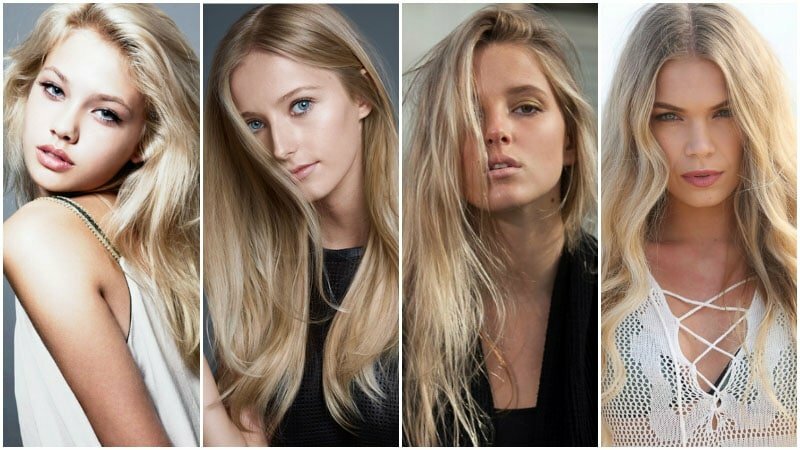 Light enough to be undoubtedly blonde, but dark enough to provide a complimentary contrast to your skin, medium blonde hues are perfect for tanned ladies and those with reddish undertones. Dirty blonde hair is a medium-toned shade of blonde with wheat or “dirt” hues blended throughout. The colour is perfect for light to medium skin tones and has a gorgeous natural appeal. While the hue can work well with any eye colour, it’s a particularly good option for ladies with hazel or brown eyes. Golden blonde is a wonderful multi-tonal colour. Featuring shades of butter, gold, and honey blonde, golden blonde hair is warm and natural looking. The colour looks best when paired with fair to medium complexions and light eye colours, such as pale blue and green. To achieve this radiant, sun-kissed blonde, ask your colourist for balayage highlights throughout your hair. Honey blonde is a gorgeously warm blonde hair colour. The shiny hue is perfect for those with medium skin tones and works best if you naturally have dark blonde or light brown roots. The cute colour also looks fantastic with darker eye colours as its warmth has the ability to bring out golden flecks in brown eyes. Sandy blonde hair is quite a rich shade of blonde with a subtle warmth. Best paired with light complexions that feature a yellowish undertone, this colour is perfect for slightly tanned beach babes. If you also have blue eyes, all the better. To achieve this gorgeous blonde hue, ask your colourist for a dark, warm blonde base with cool, beige-toned highlights on mid-lengths and ends. Auburn blonde is a rich, warm colour with a slight brassy appeal. The shade is similar to that of both copper and strawberry blonde hues but features a more orange/yellow tint instead of red. The unique colour can work for any skin tone but looks particularly good with fair to medium complexions. Auburn blonde can also be a great way to transition between light blonde and darker hues. Copper blonde is a vibrant blonde hue that features amber undertones. The rich and warm colour is perfect for medium-toned complexions and both deep blue and light brown eyes. The pretty colour is also a great way for ladies with dark hair to go blonde without it looking too brassy. Strawberry blonde is a very warm shade of blonde. Featuring a reddish/brown tint, strawberry blonde appears almost like a sunset tone. The light, warm colour tends to look best with fair skin tones and light eye colours. Easy to achieve if your hair is already a light colour, this lovely colour can be created by applying red tones to a soft blonde base. 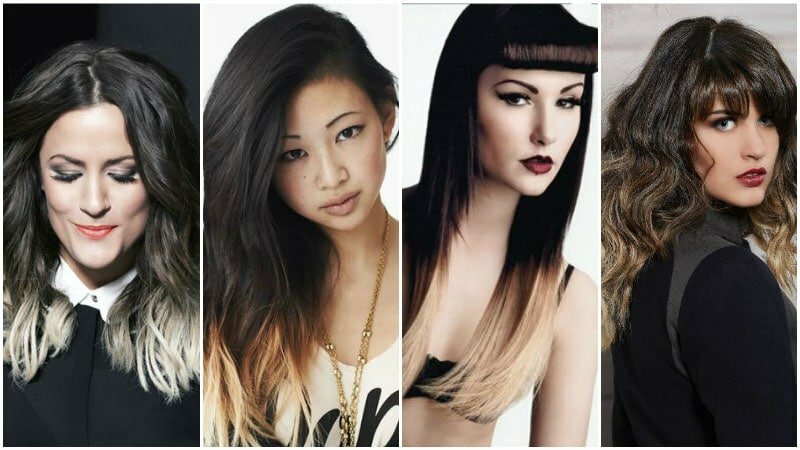 Ombre has been one of the biggest hair trends of recent years. Perfect for bridging the gap between brown and blonde locks, ombre starts dark and fades into a much lighter hue. While this colour can look great on just about anyone, it best suits those with medium or olive skin tones and dark eyes. These days, blonde hair is for everyone, not just the fair-skinned. 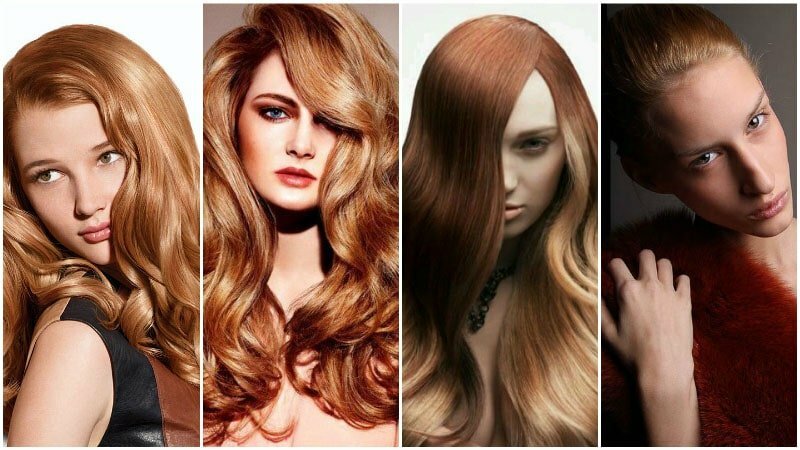 If you have a medium, olive or dark skin tone, you can still rock blonde locks, all you need to do is choose a dark hue. Chocolate blonde is a mixture of both brown and blonde tones. 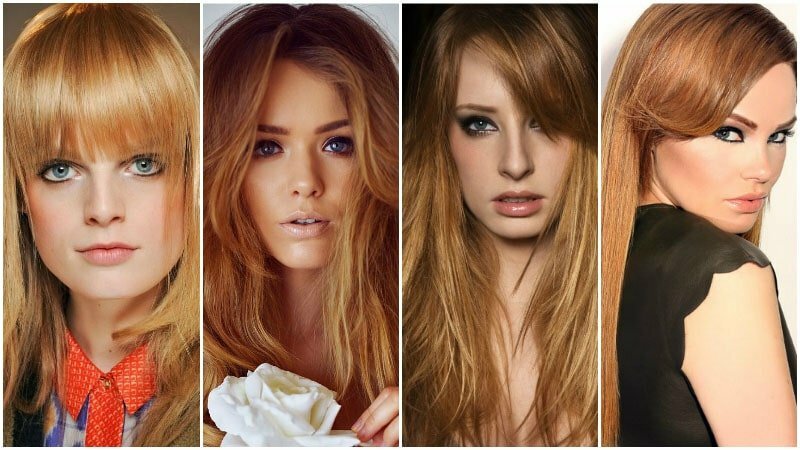 Both darker and cooler than golden, caramel blondes, chocolate brown hair looks best with medium skin tones and either dark or light eye colours. 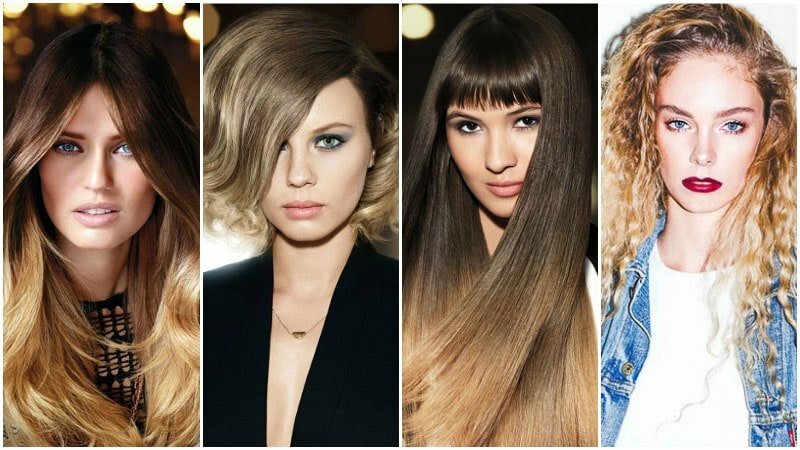 By lightening or darkening the shades of blonde and brown used, however, this colour can be adjusted to suit just about anyone. 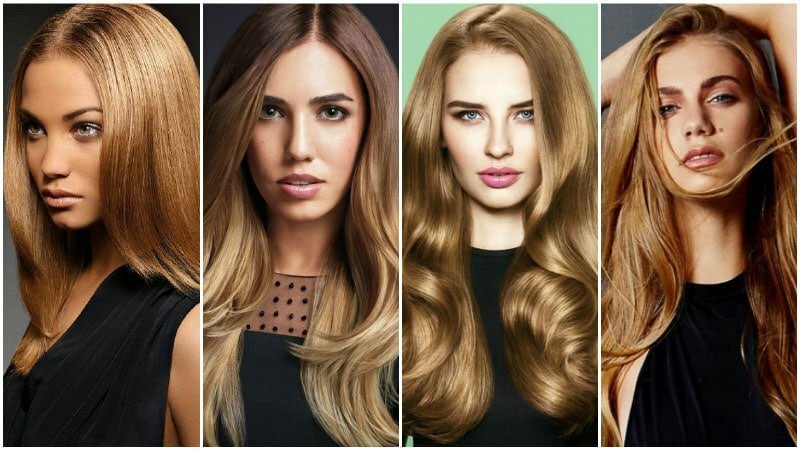 Falling somewhere between a lustrous blonde and golden brown, caramel blonde is a warm, dark shade. This colour can look good on any skin tone but appears most natural on medium and dark complexions. 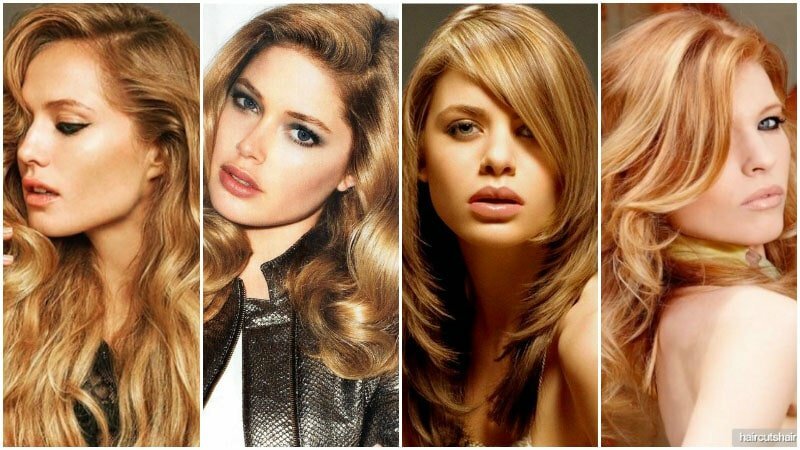 The colour can be created by starting with a dark, gold blonde base and adding soft brown lowlights and beige highlights throughout. Cherry blonde hair features a rich red or “cherry” hue. More vibrant and deep in colour than strawberry tones, cherry blonde is less natural looking and more striking. Perfect for medium skin tones and brown or hazel eyes, this colour can be created by dying hair blonde and adding a cherry tone over the top. Black hair with blonde tips is one of the most striking hair colours. The dramatic look is ideal for ladies with lighter skin and dark eyes but can be worn by anyone. The look can be created with either ombre, dip dye or highlight techniques. 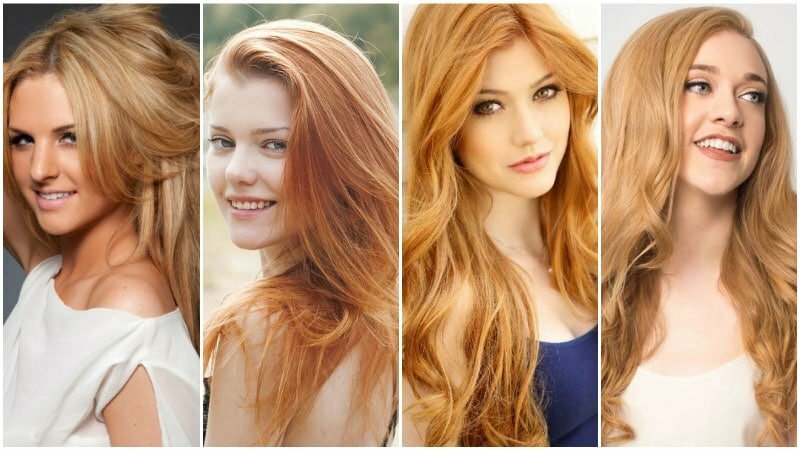 Like regular blonde colours, strawberry blonde can also have different hues. 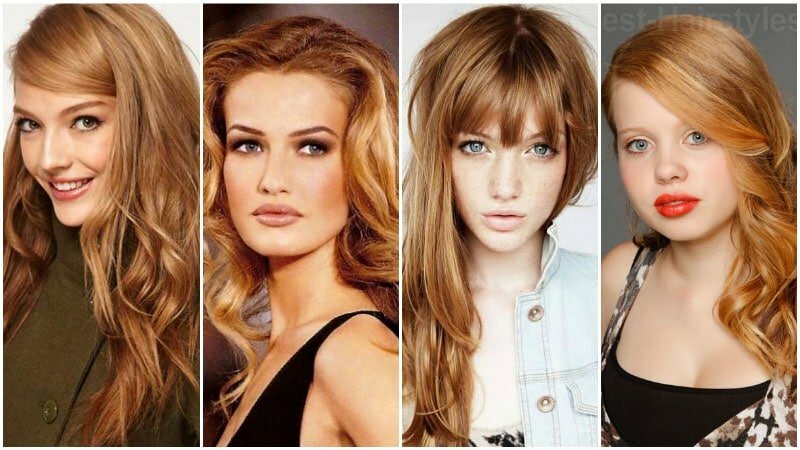 A dark strawberry blonde can provide a great, more radiant alternative to regular strawberry blonde. Featuring a more vibrant tone, this shade of strawberry blonde is better suited to medium skin tones. Visit a good colourist and ask their advice. Think about what kind of image you want to create with your blonde hair. Be sure to consider your eye and skin colour in order to choose your perfect shade. If you’re naturally blonde, try to stay close to your regular shade while enhancing it. Highlights and lowlights will add great definition to blonde hair. Colour maintenance is essential to keeping your blonde looking great.